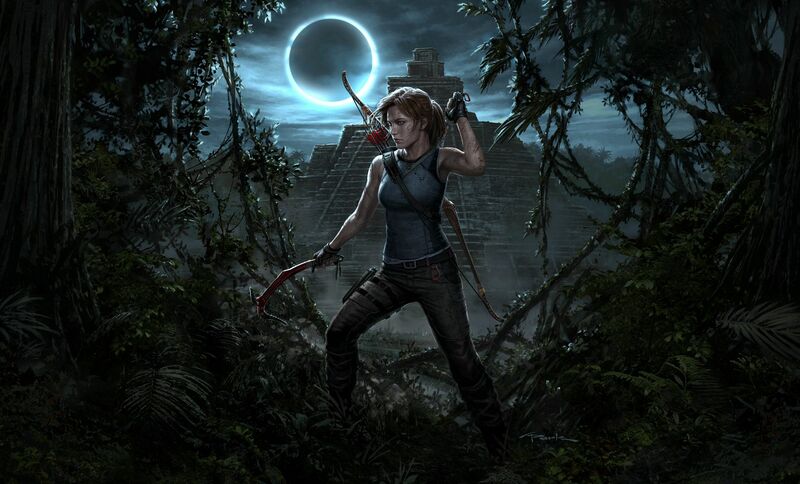 *Due to the high demand, we will be restocking SHADOW OF THE TOMB RAIDER - ULTIMATE EDITION with a limited qty. 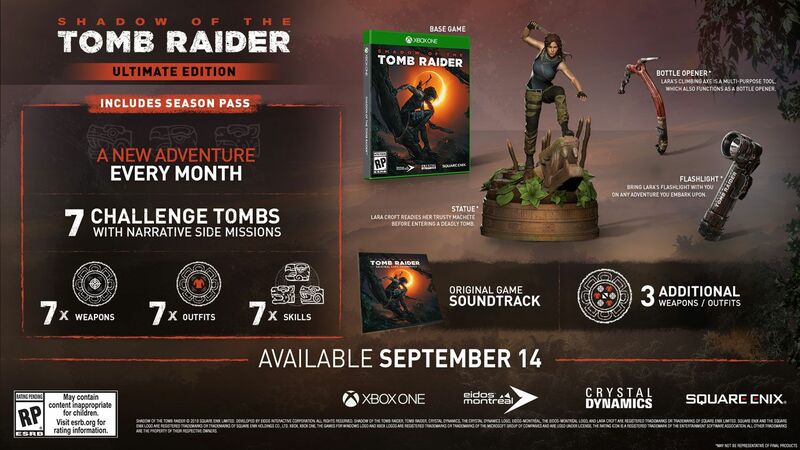 *PLEASE NOTE: These restock SHADOW OF THE TOMB RAIDER - ULTIMATE EDITION will not be shipped out on release date due to reproduction schedule. It’ll be shipped in November 2018. Receive a free Shadow of the Tomb Raider Metal Art Card with any pre-order of ANY edition of Shadow of the Tomb Raider on the SQUARE ENIX Store! Season Pass, featuring 7 Challenge Tombs, each with new narrative side missions. The Season Pass also delivers 7 Weapons, 7 Outfits, and 7 Skills. Lara Croft “Terrifying Tombs” Statue: A highly detailed replica of Lara, in which she readies her trusty machete and prepares to enter a deadly tomb. Replica Flashlight: Bring Lara’s Flashlight on any adventure you embark upon. Climbing Axe Bottle Opener: Lara’s Climbing Axe is a multi-purpose tool, which also functions as a bottle opener. Consumers are limited to 1 Ultimate Collector’s Edition per account.